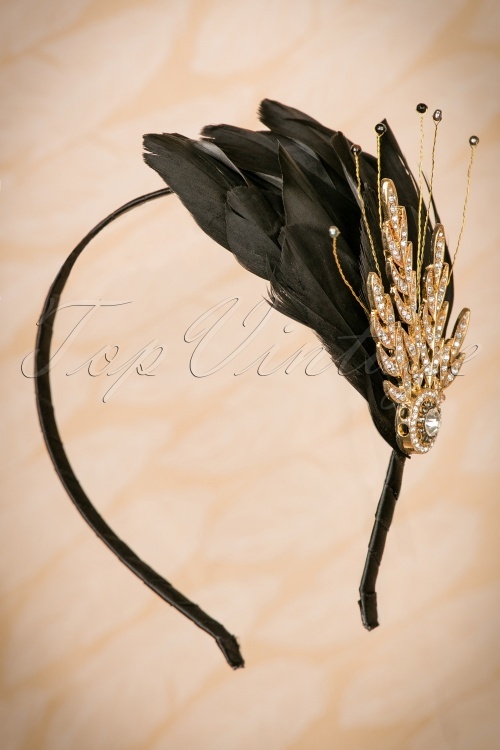 This 20s Verity Crystal and Feather Hairband in Black and Gold totally completes your festive 20's look! 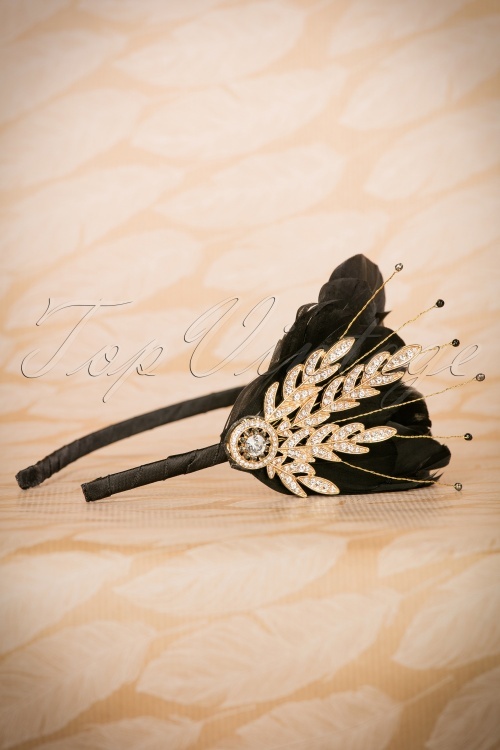 This black satin headband features gorgeous black feathers and a gold toned application that features dozens of sparkly rhinestones and crystals. The gold toned threads are finished off with silver grey and black freshwater pearls. 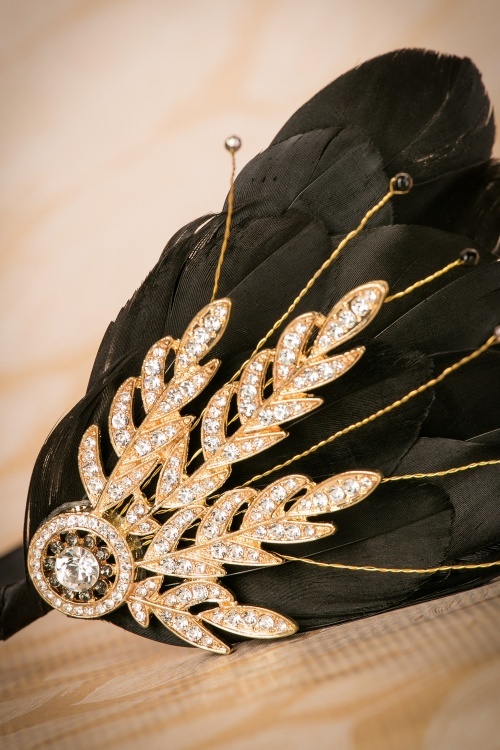 Create a glamorous and party proof hairstyle in an instant!